In business for 5 years, Air Quality of Kingman offers the best in heating and air-conditioning services. Our HVAC contractors provide heating and air sales, services, and installations for residential and commercial properties—this includes new construction and remodeling. We even offer services for low temps! Low temps are big freezers in restaurants and grocery stores. For more information about us, contact us today. We serve Kingman and surrounding cities. 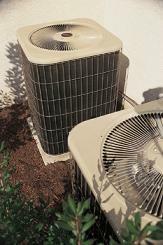 for the Best in Heating and Air-Conditioning Services.